Ananka's Diary: Updated: Irregulars Have Taken Over the Internet! Updated: Irregulars Have Taken Over the Internet! This is not a complete list! I'm still compiling information, but I thought you might want to start checking some of this stuff out. I'll be updating the list on a regular basis! Not only are these blogs tres Kiki Strike, they all have fantastic names! A film from future Academy Award winner, Michele. A cinematic treat from a mysterious girl with a flair for narration. An awesome video with fantastic title cards. From the talented Ms. Strawberry, Kiki Strike and Luz Lopez! Michele, your video was awesome! I do that a lot with my Sim characters when I'm bored, dressing them up like people I know or have heard of. Wow! htose videos are amazing. Ananka, I want to show you a picture that i drew of kiki strike. How can I give it to you? Thanks for putting my videos up! Invisible Turtle - That Gallery is so cool!! I love it! Looks just like their kinda stuff. Great job! ... Ooh! I just read the first book for the fifth time and JUST figured out what Ananka meant when she said "Do you want to be disguised as a princess?" I know. I'm slow. Also, if Kiki's lips matched the color of the rubies in her ears, she must have used lipstick. But if she's allergic to EVERYTHING, what happens if she accidentally swallows it? I have way to much time on my hands. BYE! so that's what Kirsten Miler looks like! just as mysteious as Kiki Strike! Wow! Thanks for including my blog and the FreakyBlog! Michele's viseo was AMAZING! So was everyone else's stuff. I want to send some fan art! How do I do it? Yeah! I'm on the list!!! Wow, I really love it all! I'm on my way to start up a website for spies around the world and a new spy organisation, ismular to the Irregulars. Maybe it will be on the list someday? i'm planning on making a kiki strike movie with my friends, as soon as i get enough money to buy some wigs and need a curly blonde one, a straight white one, one with dreadlocks, a red one, a short brown one, and a pink one, and a bunch of other ones for betty. or do you think i should just have multiple people play betty bcuz she looks different every time. Kiki I sent you the picture by e- mail. Did you get it? Yeah thats my drawing up there. thanks again Kirsten!!!! Last Anonymous: I didn't post your comment because I'm taking the artist's last name off the site. Yes, I guess a few her works aren't terribly tasteful. I hadn't seen those. I'm glad I didn't link to the site. Actually, that didn't seem fair, so I took the picture off completely. Thank you for calling it to my attention. 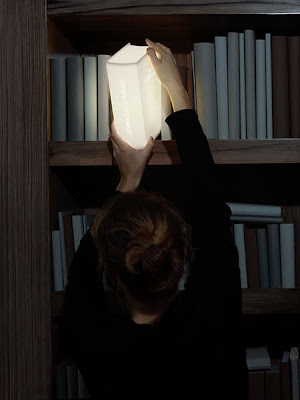 the picture you had on was actually pretty cool, and the one you have on now is also very nice the glowing book...sooo cool! look what i found! an interview with Kirsten Miller. Ananka, will there be a third book? Ok, this doesn't have to do much with the post but whatever. So I showed my uncle the Kiki Strike website, made him take the quiz (He was Luz Lopez!) and that kind of thing and he asked me "So, what TV show is this?" and I said "Oh, it's a book." And then HE said, "Well, with these drawings, it's bound to become one. Or a movie." Awesome, right? If you think this isn't cool, then I will inform you that my uncle is in the anime biz. I DEMAND A KIKI STRIKE MOVIE!!! OR A TV SHOW!!! Oh, and click on my name for a scary youtube video. Marinovksa: If I were an heiress (or JK Rowling), I would buy you all the wigs you could possibly need! As for a Kiki 3, YES!!!! It's going to be fantastic. CPanda: Your uncle is officially the coolest guy on earth. (You can tell him I said so.) It takes a big man to take the Irregulars quiz! And I love anime! Who knows, there may end up being a Kiki movie in the future. I can't say much now, but I PROMISE that the readers of this blog will be the first to know! IRREGULARS RULE THE WORLD!!!!! SO HA LIVIA!!!!! I wouldn't tell my uncle that because it would go all to his head. Seriously. I know him like that. The Kiki Strike series are personally one of the best series I have ever read. I love the way it's worded, and no one would be ever able to copy it. At the Book-People at my home, they really stress the books, including a CAMP where you go to underground places in Austin. And, my worst enemy, my best friend's older sister, is an AVID reader of this series. A few months ago (background music, please) I was just looking around for a book that would entertain me and would take a few weeks to read. So I bought it, not really looking at it much. I out it on the shelf and forgot about it for many months. Then, on a April morning, I thought, "I'm BORED!" Ah, then I remembered something. The book I bought that January! So I took it out of the shelf and started reading. Wonderful, wonderful books, Ananka. sometimes someone can just snap out of the internet barrier and just figure out who the person who is leaving a million comments on one entry. It's kind of cool, actually. And omg, the Gaia Kiki and Luz... IS SOO ADORABLE!! And I also saw that interview!! (stupid noises in the background... GRR!! I CAN'T HEAR KIRSTEN MILLER TALK!!! OMG!!!!!!!!! I loved KIKI STRIKE so much all of my peeps did! I really liked the No-Contact Jacket so I included it in my blog. Enjoy, hopefully it'll expand soon! Here's another fan work of mine: a Kiki Strike roleplay site!! If you have any questions or want to be a moderator, contact me at tigresstabby@yahoo.com. I tekteked Luz, Iris, + Oona after I saw those! They were awesome! Iris is complete in purple puffy dress and rat repellent (note the bottle). those pictures of kiki and luz are super easy to make...go on gaiaonline.com the person just made an avatar. its not that hard. Tired of All That Pesky Junk Mail? You're Feeling Very, Very Sleepy . . .
Another Installment of "If I Only Had a Yard"
On a Lighter Note . . .